How can you cut down on drawcalls with texture baking? 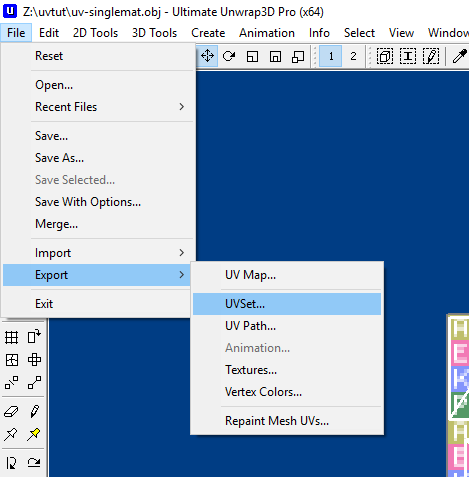 How can you save disk space with multiple UV sets? How can you use pre-rendered lightmaps and still retain the ability to edit individual surfaces? Let's find out! Consider the following simple test scene. It consists of 3 pillars and a ground plane. We want every object to look different. 1. Export every object separately and assemble the scene in ShiVa. 2. Export the whole object as a group, so you retain the individual components for later modification in ShiVa. 3. Combine everything into one mesh. Unrwap everything into a single UV. Assign a single material to the entire structure. 4. Combine everything into one mesh. Unrwap everything into a single UV. Assign different materials to every element. 5. Combine everything into one mesh. 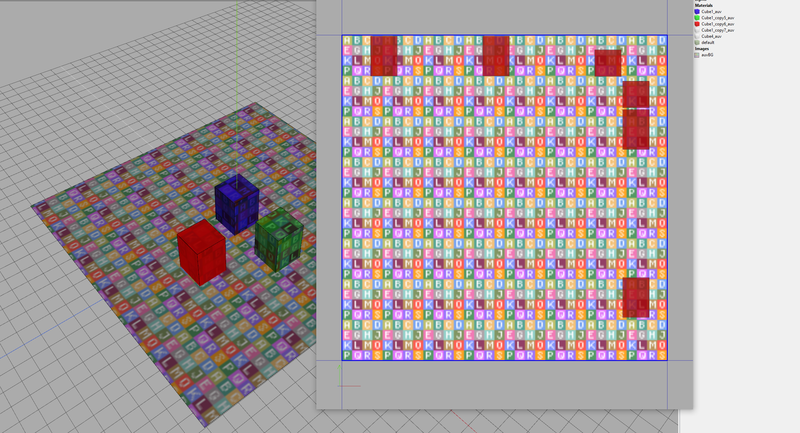 Unrwap everything into separate UVs. Assign different materials to every element. Option 1 is good for simple scenes with lots of reused and reusable objects. Imagine a large hallway with lots of pillars. But it takes time in ShiVa to reassemble, and you are potentially producing a lot of drawcalls. Option 2 is the same as 1, but saves you the reassembly process at the cost of flexibility. You are most likely very familiar with options 1 and 2. This article is going to investigate options 3, 4 and 5, which are less used. This method is optimal for single large objects, characters, objects with one surface type, and mobile devices since it is very efficient and produces only 1 drawcall. But you will end up with large texture sizes, so your game file size will be larger than average. The single UV map does not limit you to just a single surface, but you will have to draw all your diffuse colors into a single texture. This method allows for fine tuning of individual surfaces, but has potentially the same problems as the single material method with none of its benefits: you keep the big texture file sizes, and the object is no longer a single draw call. Use only if you want to keep lighting (AO and Lightmap) all in the same UV set. Speaking of UVs, here is what they look like. It is essentially the same as before, but the selected box only has its own surfaces inside its own material. But of course, you lose the (shared) baked lightmap on the pillar in the process. This means that you are limited to one surface texture per object if you wish to use the 2nd UV set. In essence, the 2nd UV map approach is the pinnacle of saving texture space at the cost of drawcalls. Both lightmap and (tiling) diffuse texture can be very small and still look very rich, if your device can handle the drawcalls, since every surface will need its own individual material.